I really enjoyed your site because I too am a Washington lad. Miss Bell and Miss Swaddle) and the Grammar School. On my first day at the Glebe I sat with Ann Ferry! My dad also worked at the Glebe pit. at the Grammar School when you were starting. You may know my Cousin Christine Todd. so everyone who worked there would remember him. His brother Bob Scorer worked in the lamp cabin. and went on to become an instructor working at Usworth. with IT (Information Technology) as its main industry. Meeting because of increased traffic and drunks after the races. I was a town councillor and mayor for a year. 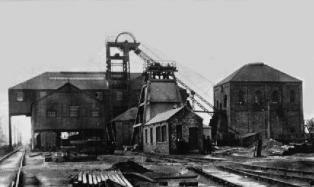 The Glebe Pit is in the background. and later became Industrial Chaplain for the Bishop of Durham. 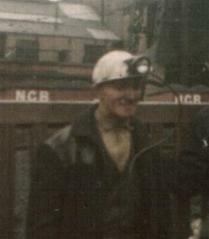 He often visited the Glebe Colliery (background). going fast. We emerged into a well lit area and went to visit the stables. where they could run around in the fresh air. the Glebe faces were getting near some old unmapped 19th century workings. All my life Dad told me I had to work hard at school because “You are not going to work down the pit”.